The New Immortals Kickstarter campaign – a big push for the last few days! With 25% of our Kickstarter crowdfunding target achieved, support for The New Immortals project has been heartwarming and very much appreciated. It is an amazing feeling that people care enough to back our project and I hope it’s as good a feeling for those of you who have pledged to it, to know that you’ve done something really worthwhile by supporting artists who are making challenging and thought provoking new work. With eight days to go and £1800 still to raise please will you help spread the word far and wide to people you think might want to play a part in helping support artists. 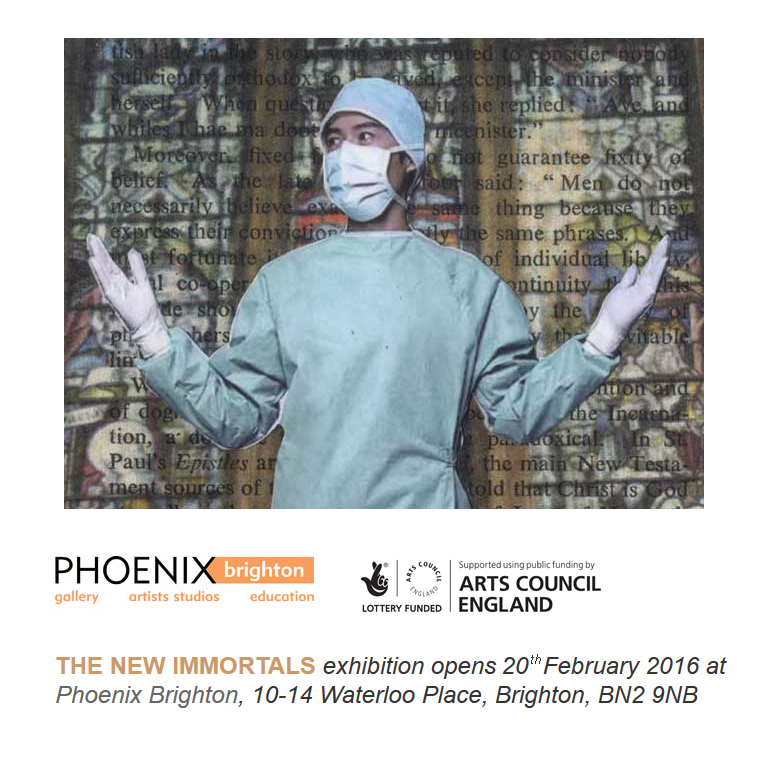 Here is the link to our New Immortals Kickstarter campaign: https://www.kickstarter.com/projects/80128555/the-new-immortals – please feel free to share it and to invite others to join us in supporting the artists taking part in The New Immortals exhibition. Next Next post: A lot can happen in three weeks!